Rare Immune Diseases (RID), IPOPI’s member in Ukraine, has long fought for better access to treatment in the country and to increase medical awareness of primary immunodeficiencies (PIDs) and diagnosis rates. This year, the Ministry of Health of Ukraine has, for the first time, purchased an important medicine for children with primary immunodeficiencies called “Anakinra”. Ukrainian parents are often forced to buy treatments for their children abroad and this is a step towards better access to treatment. Another important achievement in PID paediatric care is the availability of sub-cutaneous immunoglobulins, making 2018 the first year where choice of treatment was available. 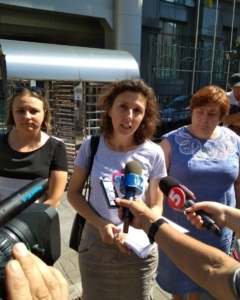 Adult patients face treatment access issues as well but thanks to a peaceful demonstration last August in front of the Ministry of Finance, the same Ministry has now allocated funds to the purchase of replacement therapy for adult PID patients for 2019. RID has recently successfully applied for an IPOPI NMO Support Grant that will be used towards the development of the project “Information and Legal Support to Patients Living With PID“. Present issues with access to medical care and treatment constitute a violation of civil rights and this project will equip individual patients with legal tools and information to help them better fight for their rights.